An empath is a sensitive person who has advanced emotional and spiritual sensitivity. 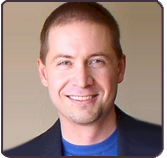 For over two decades, Dr. Michael R. Smith has helped thousands of people all over the world connect to their highest selves. 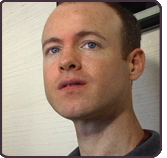 Dr. Smith is one of only a handful of authors and coaches who specialize in the unique niche of helping empaths and highly sensitive people recognize their empathic nature as a gift.He is the author of 8 research publications appearing in scholarly journals and has given workshops worldwide, including at New York’s renowned Omega Institute. 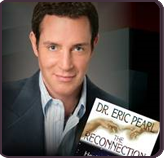 He is the author of four books, including “The Complete Empath Toolkit” and his most recent book, “Navigating 2012: Thriving in Earth’s New Age,” which has been endorsed by NY Times bestselling author Sonia Choquette. Join Georgiann and Dr. Smith to find out if you are truly an empath and to learn more about what’s coming in 2012. 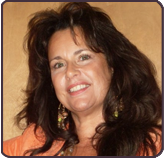 Psychic medium Linda West has a mission. That mission is to deliver a special message from the angels. Linda, formally trained by Doreen Virtue, has a new book out that brings forth that special message in a very poignant and unique way. “I speak ‘Angel,’” West says matter of factly. As a Metaphysician, Ms. West combines a personalized blend of teacher, psychologist, spiritual healer and counselor with applied psychology, universal spiritual truths and her tremendous psychic gifts to educate, enlighten and heal. She connects with the Angels to provide vital insights, answers, guidance and perspective elegantly weaving the truth into each individual’s lives. Ms. West is the the author of the acclaimed book, 8 Keys: A Special Delivery Message from the Angels and the Host of ‘Empowered Life with Linda West.’ She is also is an Angel Therapy Practitioner, personally Certified by Dr. Doreen Virtue. Linda is also an internationally recognized psychic medium and motivational speaker with a Master’s Degree in Metaphysics from the American Institute of Holistic Theology. Join Georgiann and Linda for a truly transformational experience! Anastasia Christine Answers Your Question! 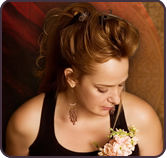 Anastasia Christine is a clairvoyant, empath, intuitive, and chakra reader. According to her mother, Anastasia was always ahead of her time. She began developing her abilities at the tender age of 2. Shortly after the birth of her third child, she had a near death experience. Anastasia came back with a much deeper appreciation. She was like an open receptor to the world seeing colors (auras) around people. She has been serving her international clientele as a professional clairvoyant, empath, chakra reader, and medical intuitive since 2001. Join Georgiann and Anastasia and call in to the live show on (347) 215-8252 to get your question answered!